Civil unrest. War. Terrorism. Epidemics. Inequality. Environmental degradation. Famine and poverty. When you read the news, it looks like the world is falling apart, and that nothing short of a radical course correction can stop the carnage and return us to a happier era. But is that truly the case? Harvard Psychology Professor and New York Times bestselling author Steven Pinker says, absolutely not. Marrying hard data to a keen understanding of the human mind, Pinker notes that people are safer, freer, healthier, wealthier, and happier now than at any previous time in history, not just in the West, but worldwide. More importantly, he lays out the reasons for how this progress happened and how we should continue it. 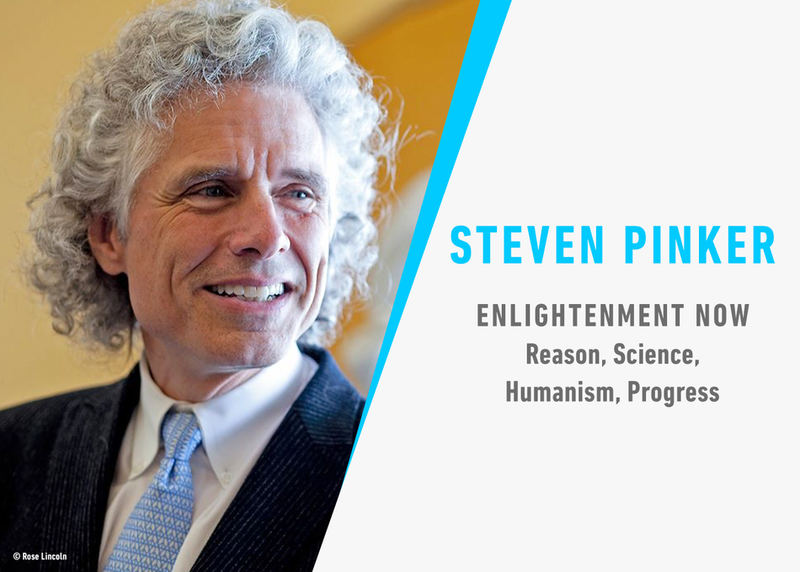 ENLIGHTENMENT NOW: The Case for Reason, Science, Humanism, and Progress is an elegant assessment of the human condition in the third millennium and a passionate defense of values that people take for granted. These are the values of the Enlightenment—reason, science, and humanism—and they underlie the conviction that we can use knowledge to enhance human flourishing.